Warmer weather is right around the corner, and we want your AC to be in tip-top shape so you don’t face high energy bills or get stuck with an AC that’s blasting hot air this summer. The first thing you should do to get ready for the cooling season is check your air filter. 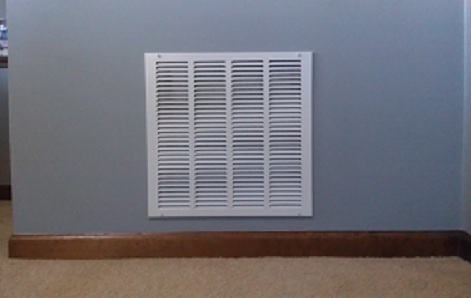 Here’s why: Your air conditioner shares an air filter with your heating system (furnace or heat pump). So all winter long your heating system has been sucking up air pollutants like dust and pet dander, which clog the filter. Can’t find your air filter or don’t know how to replace a clogged filter? Just give us a call and leave it to us. Since your outdoor unit is exposed to the elements, you’ll want to make sure it’s clean and free of debris before you start using it regularly. Here’s why: A clogged outdoor unit (also called the condenser unit) dumps the heat from your home outside. But, if it’s blocked by foliage, debris or dust, your AC system will struggle to dump that heat outside. Have a thick layer of dust on your outdoor unit? Call a professional to clean it for you. They’ll have the right tools to do the job efficiently. The first 2 tasks are things you can most likely do on your own. But for this task, you’ll need a professional’s help. Here’s why you absolutely need to schedule AC maintenance now: A professional can catch serious issues with your air conditioner before they become serious. Major AC problems will make your system use more energy, which will raise your monthly utility bills and could lead to a system breakdown. And the last thing anybody wants in the middle of a Florida summer is to be stuck without a working AC! Plus, if you don’t get regular maintenance and something breaks down because of normal wear and tear, you risk voiding your AC warranty. Most manufacturers require proof of regular maintenance before they’ll replace a broken part. Give us a call and we’ll help you schedule an appointment with one of our trusted AC techs. In the meantime, read more about our AC maintenance plans. They can save you money down the road on repairs and maintenance call fees.